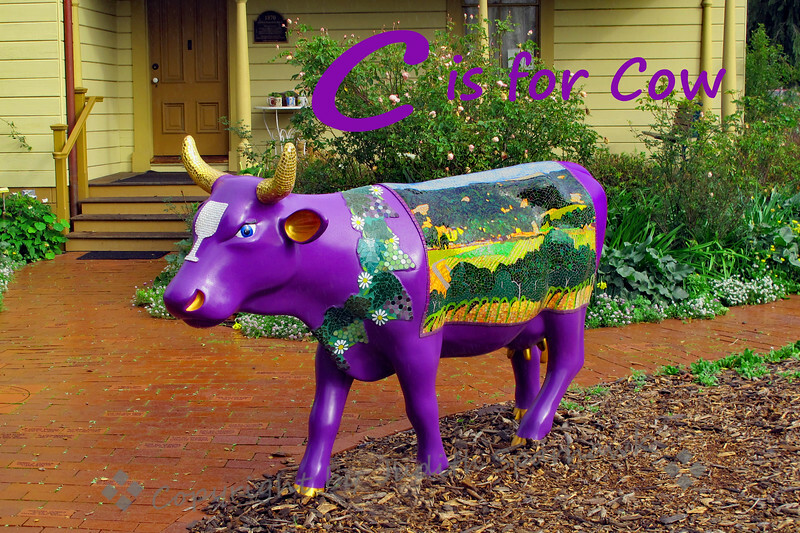 For the alphabet challenge, this purple cow was photographed in Cambria, CA. The County of San Luis Obispo sponsored the painted cow program as a fundraiser, and I saw several very creative and artistic cows in the area. This was one of my favorites, and was outside the historical museum in town. The art on this cow celebrates the local wine growing area.